There's a brand-new Hong Kong-style cafe in town. The fresh arrival to Chinatown, called Hidden Gem Cafe, is located at 122 N. 10th St. The cafe features a bright, modern interior and affordable prices, with most meals under $8. On the menu, look for offerings such as leek dumplings, Taiwanese egg pancakes, chicken congee and noodle soup with egg and Spam. With a four-star rating out of eight reviews on Yelp so far, the new Hong Kong-style cafe has gotten a favorable response. 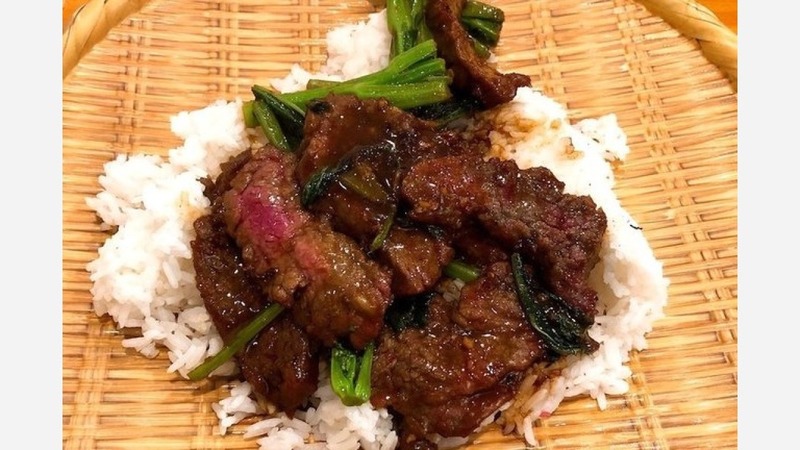 Quan L., who was among the first Yelpers to review the new spot on March 20th, said, "Perfect place to grab a quick home-cooked-style meal for a very cheap price. The dishes are as authentic as the ones that you would get back from the mainland or your grandparents' cooking; definitely brings back the taste from early childhood memories." Yelper Marie S. added, "Hidden Gem serves Hong Kong-style breakfast and cafe food in a modern and comfortable setting. ... I am happy that this not-so-hidden cafe has opened on one of Chinatown's major thoroughfares." Head on over to check it out: Hidden Gem Cafe is open daily from 8am-8pm.